There are a lot of articles out there about telling your brand's story. A lot. Like, so many. Somehow, the concept of a traditional story arc - like the kind you might see in popular movies or novels - gets little attention when muddled into a marketing mix. But the truth is, storytelling has been around for millennia, and you probably learned about proper story structure way back in middle school. In "Finding Nemo," this starts with learning that Nemo was the only survivor among all his fish eggs, and his single dad is very protective of him in and around the reef. As a movie patron, it is important to understand the context of the world we are in and the main characters who inhabit it. As a marketer, it is important to understand the world your potential customers are in and what motivates them. A great way to do this is to develop audience personas, which help keep content and offers on point for various messages and various audiences. Understanding your audience gives you the power to proceed in a focused direction as you move prospects into the buying process. Inciting Incident - What is causing conflict? The moment that Nemo gets captured by the scuba diver and taken away is the inciting incident in the movie. 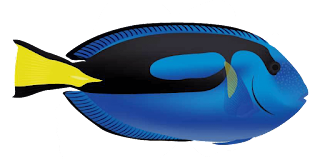 His dad is left with the quest to find his son, and all he has to help is an address and the absent-minded Dory. As a movie patron, this is what pulls you into following the journey of the protagonist(s). In the realm of marketing, conflict can be seen as a great opportunity. Conflict is a problem, problems need solutions, and solutions are marketable. As a marketer, this is the place where you can set the stage for your prospect to become a lead. Your brand needs to be relevant and clear enough that people find it as a potential solution when trying to solve their own problem... Which leads to the next point step. Rising Action - What happens to lead to a solution? The bulk of a movie takes place here, as characters move forward on their quest - often with setbacks and hurdles. 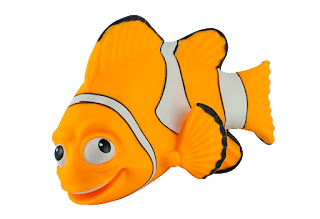 Nemo's dad deals with sharks, jellyfish, turtles, and Dory's general lack of help. As a movie patron, this provides an opportunity to really get to know the characters as you see their responses to adversity, interactions with other characters, and progression toward their goal. Brands can influence this journey by keeping content available, clear, and credible. As a marketer, this provides an opportunity to really connect with leads and give them the tools to ensure their progression is toward your solution. As your lead gets deeper into the sales cycle, the ability of brand content to help direct this path grows. A strategic workflow (like we at TBH Creative use in Hubspot) for your communications is one way to create a path. After all the rising action (and a hilarious scene in a dentist office), the Nemo is finally reunited with his dad. Their characters are given the opportunity to demonstrate growth when one final obstacle puts Nemo's dad in a position to trust his son in lieu of being overprotective, and the character arcs come fully develop, as well. As a movie patron, the conflict is solved and there is a sense of completion that the story narrative provides. From Psychology Today, "Stories provide order. Humans seek certainty and narrative structure is familiar, predictable, and comforting." Is your brand part of the solution? Will it be there when your prospect becomes someone's customer? As a marketer, when a conflict is solved your brand should be the sense of completion in the buyer's journey. Customer satisfaction is key to any business, and solving problems is satisfying. Position your brand to be right in the middle of that satisfaction. Resolution - And they lived happily ever after? Oftentimes in movies, the resolution takes place in the exact same place as the exposition, hence the term "coming full-circle." The characters have changed, and they take their experiences with them, back to where they started. 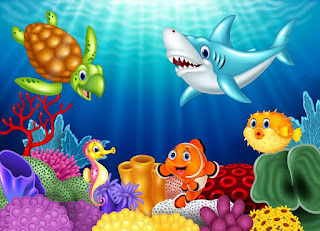 In "Finding Nemo" we see this at the reef where they live, moving ahead in life a little differently. As a movie patron, this offers a sense of closure that (usually) implies "happily ever after." As a marketer, offering your customer a sense of closure and happiness will keep brand loyalty high. If their buying journey feels "full-circle," then you might have created the perfect type of customer: a brand ambassador. 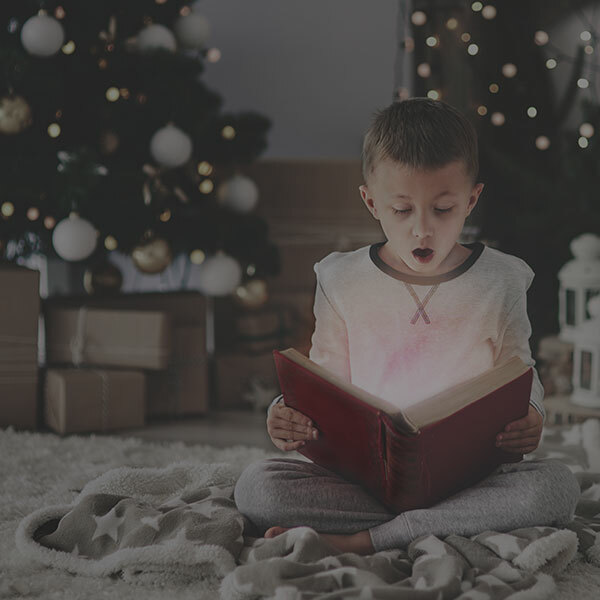 Ensure you achieve this marketing version of "happily ever after" by supporting your customers with quality service, troubleshooting, support, positive engagement, or any other applicable post-purchase need. Do you need support guiding your prospects to their "happily ever after?" TBH Creative can help you strategically roadmap an inbound marketing plan to help you tell the best story for your brand, offering support and guidance along the way.